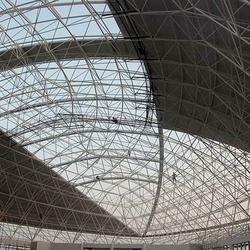 Space frame or space structure is a truss-like, lightweight rigid structure constructed from interlocking struts in a geometric pattern. 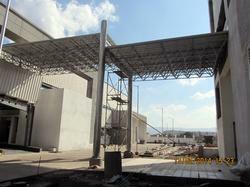 Space frames usually utilize a multidirectional span, and are often used to accomplish long spans with few supports. They derive their strength from the inherent rigidity of the triangular frame; flexing loads (bending moments) are transmitted as tension and compression loads along the length of each strut. 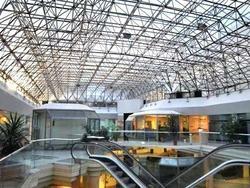 Space frame or space structure is a truss-like, lightweight rigid structure constructed from interlocking truss in a geometric pattern. 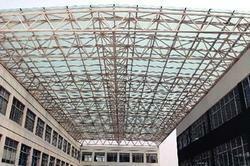 Space frames usually utilize a multi directional span, and are often used to accomplish long spans with few supports. They derive their strength from the inherent rigidity of the triangular frame; flexing loads (bending moments) are transmitted as tension and compression loads along the length of each truss. 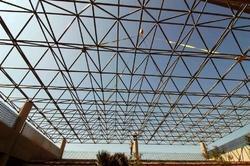 Space frame Structures provide an architecturally pleasing appearance. 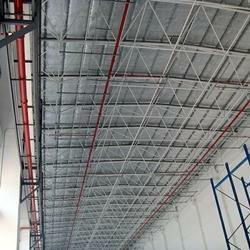 In multilayer structures, lights, air-conditioning ducts and other facilities can be kept inside the roof elements thus giving a clean appearance. 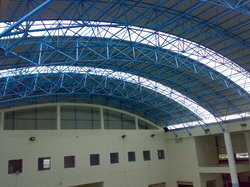 Space frame or space structure is a truss-like, lightweight rigid structure constructed from interlocking struss in a geometric pattern. 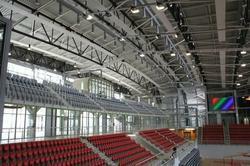 Space frames usually utilize a multi directional span, and are often used to accomplish long spans with few supports. 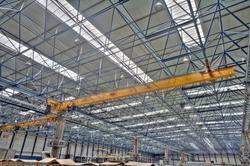 They derive their strength from the inherent rigidity of the triangular frame; flexing loads (bending moments) are transmitted as tension and compression loads along the length of each truss. 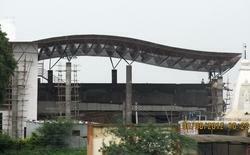 The light and strong space structures are efficient and most importantly beautiful. 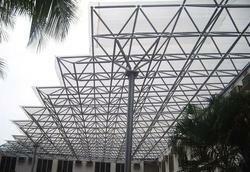 Space frame Structures provide an architecturally pleasing appearance. 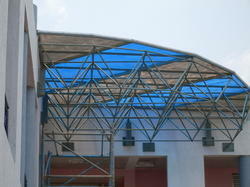 In multilayer structures, lights, air-conditioning ducts and other facilities can be kept inside the roof elements thus giving a clean appearance. Minimum Order Quantity 1000 sq.ft. 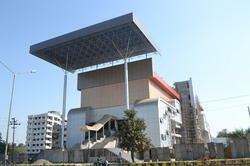 ducts and other facilities can be kept inside the roof elements thus giving a clean appearance. 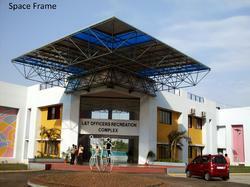 We are one of the leading service providers of Modular Space Frame Structure Fabrication. 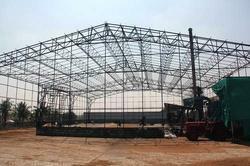 Modular space frame or modular space structure is a truss-like, lightweight rigid structure constructed from interlocking truss in a geometric pattern. 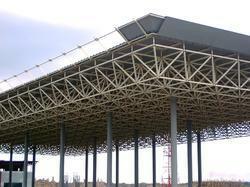 Space frames usually utilize a multi directional span, and are often used to accomplish long spans with few supports. They derive their strength from the inherent rigidity of the triangular frame; flexing loads (bending moments) are transmitted as tension and compression loads along the length of each truss. 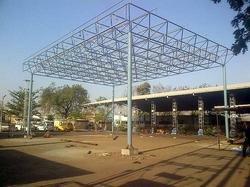 Modular space frame Structures provide an architecturally pleasing appearance. 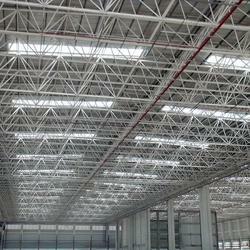 In multilayer structures, lights, air-conditioning ducts and other facilities can be kept inside the roof elements thus giving a clean appearance. Looking for Space Frames ?